I must admit, I cracked the spine on Pathfinder Tales: Bloodbound with no little trepidation. It was to be my first exposure to the Pathfinder universe, and I had no idea what to expect. While I have fond memories of cutting my genre teeth on the old TSR novels, Dragonlance and Forgotten Realms haven't stood up well over time. That said, I find I actually appreciate their Ravenloft horror/fantasy world more now than I did back then, so entering into the Pathfinder world with vampires and clerics seemed like a good choice. 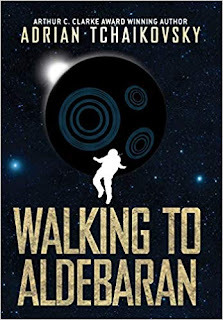 Having closed the book on my first Pathfinder journey, I'm pleased to say F. Wesley Schneider put together a pretty solid novel that incorporates some of the universe's overall world-building, but which is still accessible to a new reader. I feel like I came out of it understanding at least one corner of the world, and definitely curious to know more. As for the story itself, this is largely a gothic horror story, within the setting and time period of a pseudo-medieval fantasy. There are so many little elements here that make it all work. 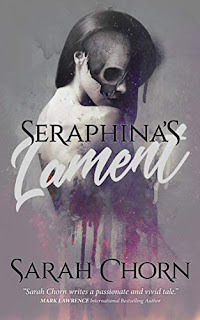 The settings include including drafty old castles, sprawling places of worship, and an altogether chilling asylum; the characters include vampires, half-vampires, priestesses, and Inquisitors; and the plot lines involve exorcisms, possessions, family secrets, and betrayals. 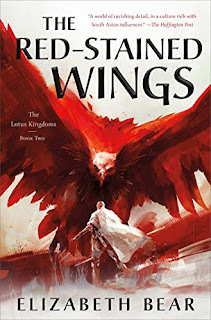 I'll be honest, I wasn't thrilled about the idea of a half-vampire heroine at the start - it's a tired old trope - but Larsa is sharp enough in terms of edge, wit, tongue, teeth, and blade to make it all work. Jadain, the conflicted priestess, was intriguing to me right from the start, and I really like the way Schneider explored the conflicts in her loyalties and her faith. If the book struggled in one aspect, it's in the absence of a truly fearsome villain. This is a dark tale, set in what I understand to be one of the darker corners of the Pathfinder world, with some really dark acts taking place. While there are a few villains lurking about, none of them were strong enough or malevolent enough to be worthy of the plot. While the narrative structure is a bit weak early on, and kept me from really getting into a flow, this confusing/awkward changes of POV do eventually get smoothed out - and the rest of the narrative, especially the Gothic feel of the descriptions, is actually a cut above your standard tie-in fantasy fair. I can't speak to its fan appeal, but as an introduction to the world, Pathfinder Tales: Bloodbound is a solid read, and one that ensures I'll make time in the reading schedule for a return to the world with Pathfinder Tales: Hellknight. Disclaimer: I received a complimentary copy of this title from the publisher in exchange for review consideration. This does not in any way affect the honesty or sincerity of my review. Doesn't sound half bad. Like you, I've been wary of giving these a try, but I might do so now. Very cool, I must have been confused and thought you started with Hellknight but very pleased to hear you had as much fun with Bloodbound. I'm about to have my second outing with Pathfinder Tales as well, with Liar's Bargain, and I hope that'll be just as good.